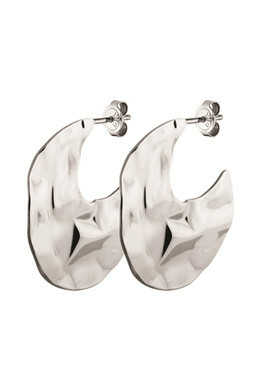 The GRANITE earrings are both feminine and cool! 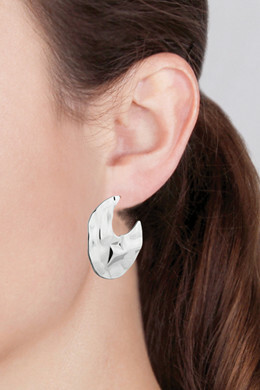 The hoop-like shape makes it super easy to wear, and will make a statement. Shown here in a hammered, silver toned finish.